GO, Bong Go! GO, Bong Go! – Senatorial candidate Bong Go warmly applauded by thousands in the streets of Cagayan de Oro. CAGAYAN DE ORO CITY – Former Special Assistant to the President and 2019 senatorial candidate Christopher Lawrence “Bong” Go on Friday said a Senate seat should be utilized to help uplift the lives of the Filipino people. 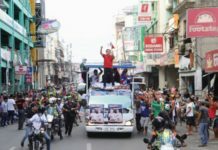 The former SAP made the statement after going around the city in a motorcade where he received enthusiastic welcome from the residents. He also vowed to continue the programs and policies of President Rodrigo Duterte. “Ipagpapatuloy ko yung pagbabagong sinimulan niya, kampanya laban sa kriminalidad, kampanya laban sa corruption sa gobyerno, kampanya laban sa iligal na droga. Susugpuin talaga namin ang iligal na droga. Kasama ko dito si PangulongDuterte. 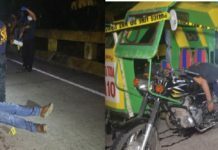 Tutulungan ko siya dito sa tatlong yan at salayuning mabigyan ng mas magandang kinabukasan ang mga Pilipino,” Go said in an ambush interview. 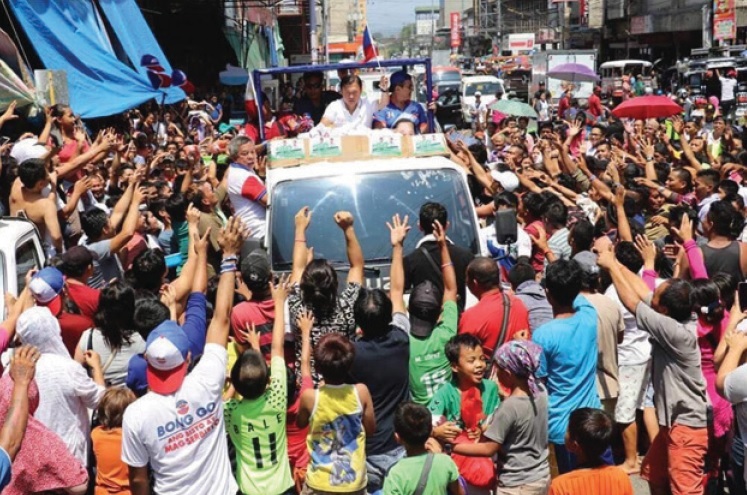 Go was also mobbed by adoring supporters when he decided to eat in a carinderia at the Cogon Market here after his motorcade around the city. Chants of “Go! Bong Go! Go! Bong Go!” echoed at the market when the customers realized the former SAP was taking his meal at one of the eateries. “Salamat po sa mainit na pagsalubong sa amin, kasing init ng panahon ngayon.Nakakawala ng pagod at nakaka-inspire na magserbisyo para sa kapakanan ninyo,” Go said. Go assured that apart from the campaign against illegal drugs, criminality and corruption, he also wants to improve the delivery of health services in the country, particularly through the law that would allow the establishment of Malasakit Center in more provinces and key urban areas of the country. “Ang serbisyo sa tao ay serbisyo sa Diyos. Wala po kaming ibang hangarin ni Pangulong Duterte kundi magserbisyo para sa ikabubuti ng bawat Pilipino. Maraming salamat po,” he said.